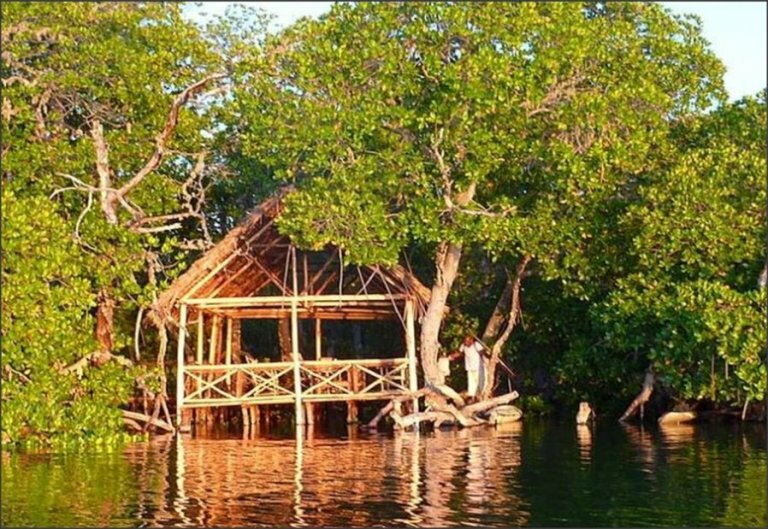 The Crab Shack, Mida Creek - Watamu Marine Association. 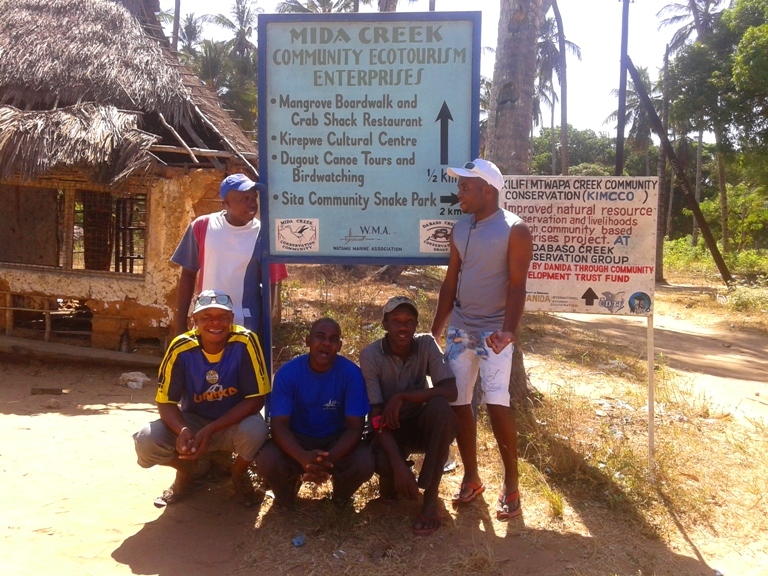 Visit 'The Crab Shack' run by Mida Creek Conservation Community. The ideal place for a romantic meal, a meal with friends and family, or just come to sit and enjoy drink whilst watching the sun set over the Creek. Situated at Mida Creek, not far from Dabaso village, the restaurant is a discreet, community run low impact wooden construction standing at the edge of the mangrove forest with panoramic views of the Creek. The Boardwalk and Crab Shack was built by Mida Creek Conservation Community, to promote eco activities, protect the mangrove forests and provide education for the poor Mida Creek fishing communities. Access to the restaurant is via a 200 metre boardwalk, which gives guests a unique opportunity to absorb the beauty and magical atmosphere of the mangrove forest and Creek channels. 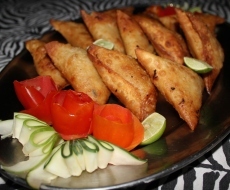 The restaurant looks out to stunning views of Kirepwe Island and also provides a good spot for bird watching. The Shack provides lunch and dinner. Those guests arriving for dinner are recommended to come early and enjoy a drink as the sun dips spectacularly over the Creek. The local special menu includes delicious fresh fish, prawns and crab dinner cooked by trained chef and MCCC member Dixon. 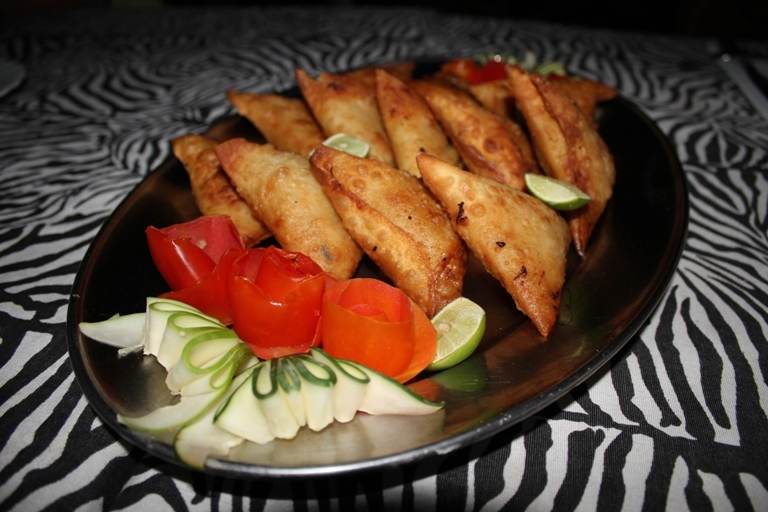 Or sample a selection of snacks, including the Shack's signature crab samosas. Soft drinks and beers are also available, bring your own wine and spirits and pay corkage. The crabs are sustainably farmed as part of another MCCC eco initiative and the fish are caught by local Creek fishermen. Eating out here really does support the local community and all profits go towards MCCC conservation and education activities! Guests can also pay a small fee for a guided tour of the boardwalk without having a meal. 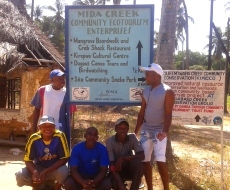 Visitors to Watamu can support MCCC's other activities: We involve the local community in practical conservation, environmental education and awareness and sustainable management of the natural resources. Towards this aim, we organise mangrove plantings and beach clean-ups and have initiated several income generating activities including beekeeping, selling mangrove tree seedlings, crab farming and other aquaculture, poultry rearing, selling handicrafts as well as doing an eco-tourism programme. We do several eco-tourism activities so you're bound to find something interesting. 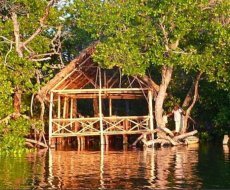 You can visit the Sita Community Snake Farm,take a canoe or motorboat tour through the mangroves or up to Kirepwe Island from Dabaso landing site, enjoy a picnic lunch, sundowner or Arab Ruins tour at Kirepwe Island or be entertained by traditional Giriama dancers at Dongokundu. There is literally no place else on earth quite like Mida Creek so join us for a truly unique travel experience! If you are looking for a unique and exciting holiday-experience at Mida Creek please book us through the following contact details. For more details on our activities and to see more stunning images please click on Mida Creek Conservation Community and Canoe Rides and Nature Tours Please also Click Here to visit and 'like' our new Facebook page where we will be posting more information and regular updates!